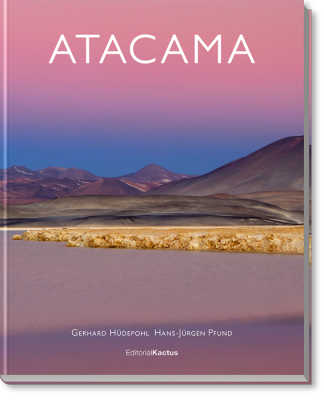 A new photo book about the Atacama Desert was published by Gerhard Hüdepohl and Hans-Jürgen Pfund. This new book with over 100 partially double-page photos of landscapes, flora and wildlife of the Atacama desert was recently published. It includes chapters about the Atacama in Chile, one of the driest deserts on earth, about the Altiplano in Bolivia with Salar de Uyuni and the Puna de Atacama in Argentina.